In 2017, Finance Now acquired The Warehouse Group Financial Services (Warehouse Money). 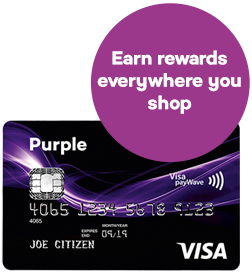 The acquisition included the Purple Visa Card and Warehouse Money Visa Card so now you have even more finance options. 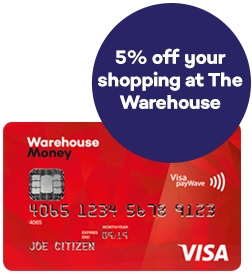 Get 5% off your shopping at The Warehouse including items already discounted^ Earn rewards everytime you shop# plus you have the option to purchase on Interest Free finance.~ The best of both worlds!